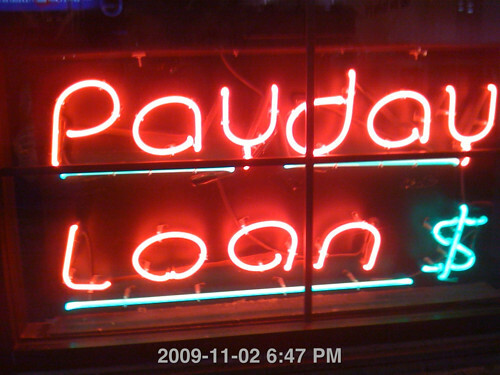 Payday Loans Neon Sign a photo by rinkjustice on Flickr. I found this to be just another manifestation of how the Middle Class in the country is being destroyed – and the people who are there to capitalize on their plight. Today, I am visiting my parents’ home and went for a walk that included a stroll down the commercial strip on the busy street near their house. Along this commercial strip in a solid middle-class neighborhood in Peoria, Illinois, is a small red brick building that thirty years ago I remember housing an insurance agency. What is there today? A payday lender. I’ll ask the question again – Who will the corporations sell their products to when 99% of the people in the country are making minimum wage?